I am going to jump the queue a bit here. I have a backlog of photos I was planning to post, but I was too excited about these new ones to wait to post them. Kim, Malcolm and I took a little family vacation to Sauble Beach on the shores of Lake Huron this past weekend. The weather was stunning and once Malcolm was down for the evening, I couldn’t resist taking the camera out to the beach and spending some time by the lake at sunset. After some experimenting with my filters, I finally managed to settle on a few compositions that I liked. In this first one it was the colour that grabbed me. 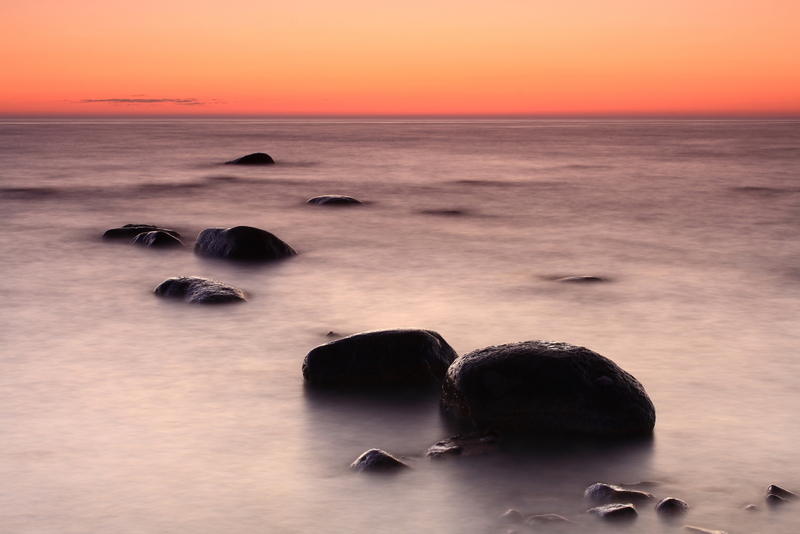 I love the soft pinkish/orange tones in the sky and the long exposure evened out the somewhat choppy waters to create a dreamy feel. This second shot was my favourite though. 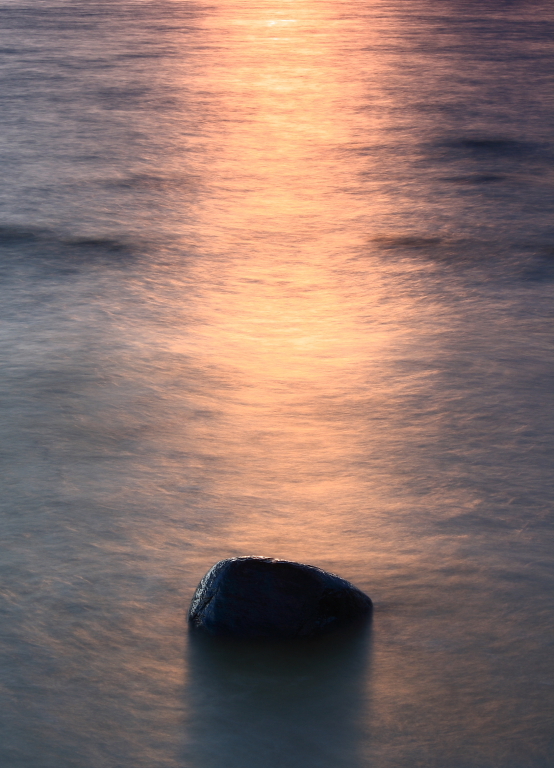 Here I tried something a little different by leaving out the sun and the horizon line and grounding the shot on the rock and the light playing off the water. I think it wound up being a somewhat unique take on the scene. I just love all of these Mike. Beautiful and so creative. I think the first one is your best shot yet Mike! Great colour, nice comp, perfect shutter speed… you nailed it!